North West Idaho, Montana, Oregon, Washington, Wyoming. Best Stance, Most Functional, Best VIP, Best Engine Bay, and Speedware Choice!. Include your full name, phone number, and email. Attach 1 Photo of your car. Pre Register Attendees will receive one free raffle entry. Roll in begins at 11:45. These are the people that will be displaying their cars in the show and request in for same parking area. PS. For all us who are in for the display, we will have to carvan all once. Roll in begins at 11:45 and shows start at 1PM, so how about we all meet up together at 11:30 and leave at 11:50? I also got the location picked at one of the closest Starbucks with a good parking lots. 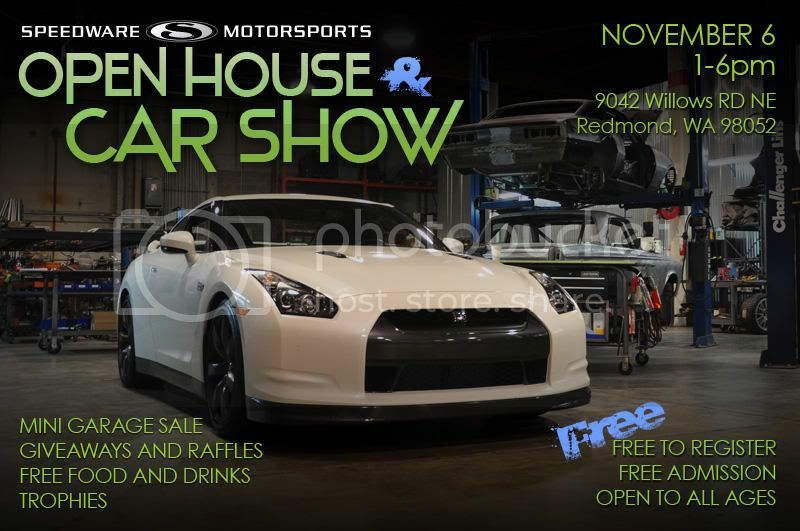 Here is the address, 15738 Redmond Way, Redmond, Washington 98052. It is only 2 mins away from Speedware Motorsports. When we rool in, please be sure to check in to claim your free Raffle Ticket. Please let me know what you guys think on the time and location. And be sure to bring some detail equipments to make your car show and shine at the show.